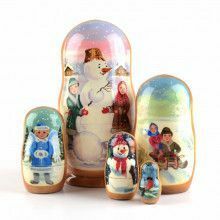 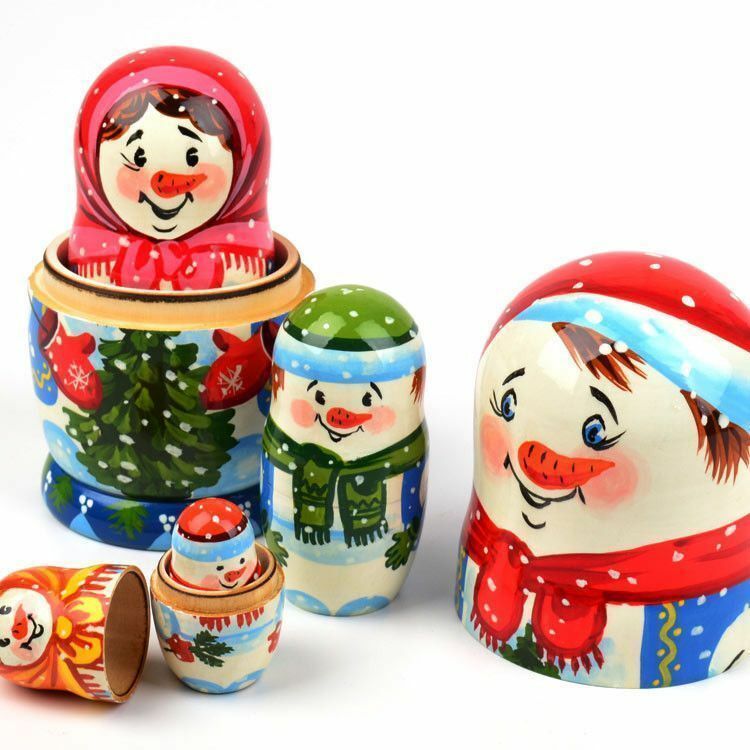 We bet you'll smile every time you get a glimpse of this super-cute snowman family nesting doll! 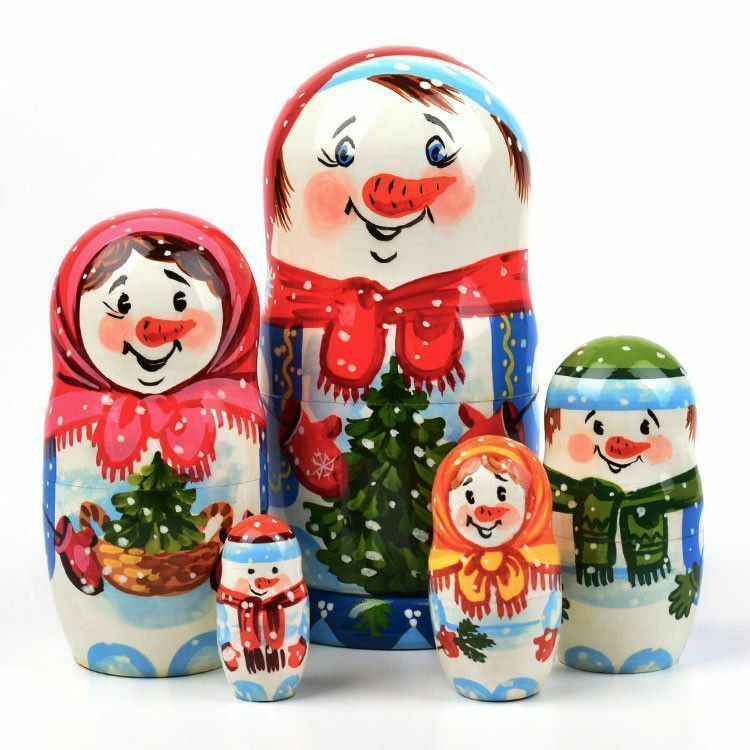 Featuring vibrant colors, happy expressions, and a gloss finish, this doll would make an amazingly unique Winter time gift. 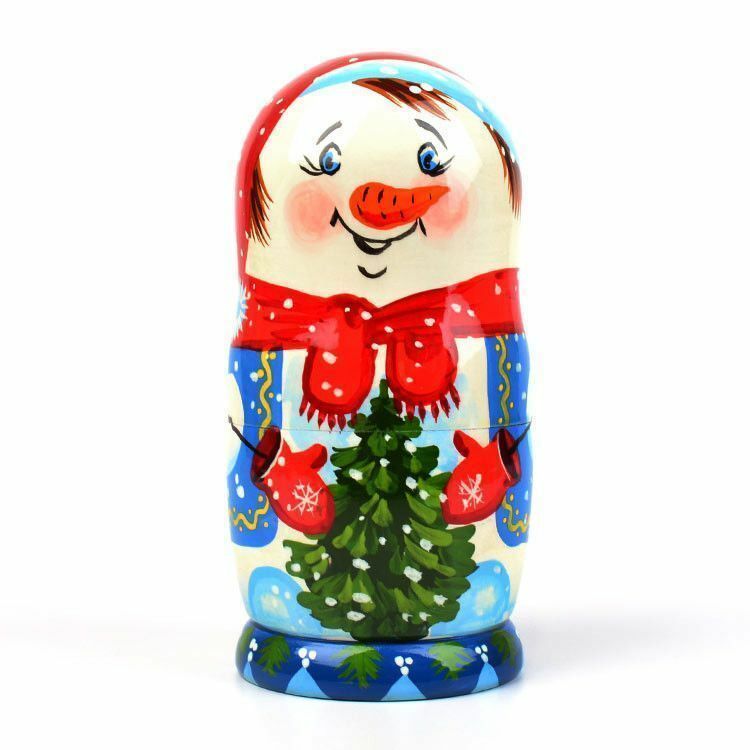 It even appears to be snowing, since the artist painted white dots all over the doll. 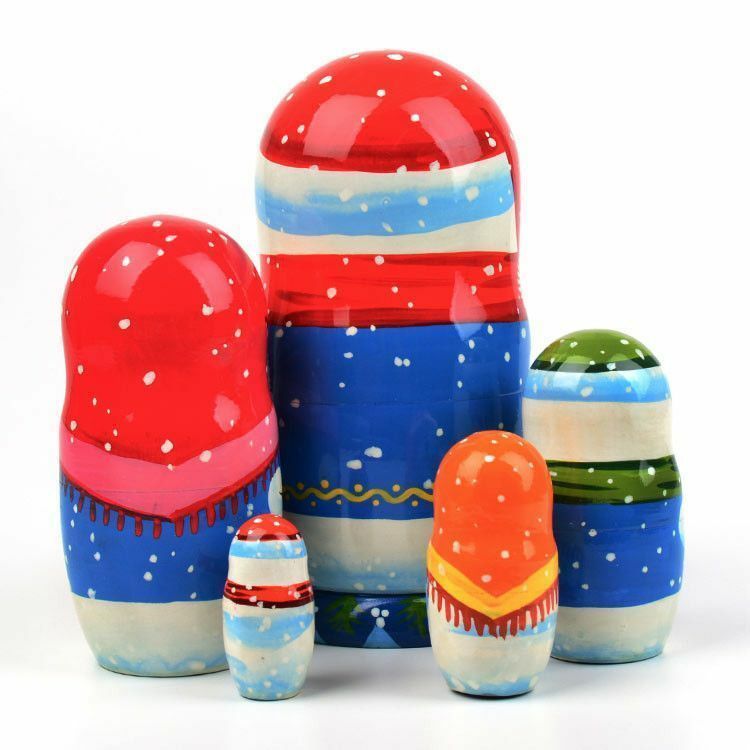 It stands about 6" tall and is about 3" wide, and due to the hand-painted nature of this nested doll, colors may vary slightly.